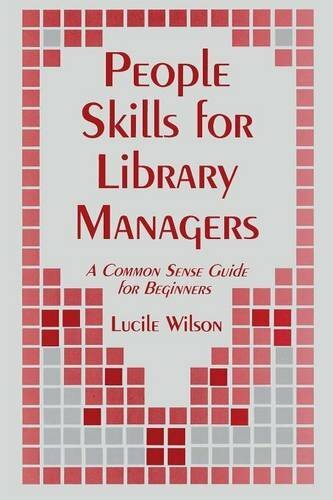 People Skills for Library Managers: A Common Sense Guide for Beginners by Brand: Libraries Unlimited at Translate This Website. Hurry! Limited time offer. Offer valid only while supplies last. Increase your effectiveness as a manager by developing essential interpersonal skills with the creative approach offered in this practical reference. Increase your effectiveness as a manager by developing essential interpersonal skills with the creative approach offered in this practical reference. Designed for library school graduates, paraprofessional librarians, and aides who have the responsibility of managing school or small public libraries, this publication focuses on skills that are not part of a librarian's technical training. The techniques are easy to implement, and the book includes numerous examples that illustrate the principles. A must read for those who wish to become leaders in the field.